When I first saw the previews for Rio when it was in the theaters I knew we had to see it. The bright colors and music were the hook for me. I could picture my son dancing to the music and when we had the chance to review the movie he danced so much he fell over! 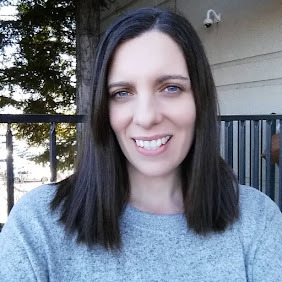 Back in May my sister Sam her husband and son JJ went to see Rio in theaters thanks to Chiquita banana you can read about their review here. I have now watched the Rio DVD close to 20 times! Each time I sing along more and more. It is a sweet movie that has the classic parts of all good movies, excitement, adversity, friendship, love and a happy ending. 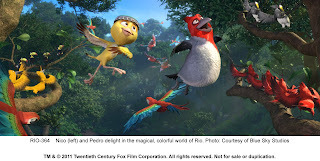 I LOVE how colorful, vibrant and vivid the movie is, it makes me wanna go to Rio! The characters are great. Its something kids can relate to and adults can too. The line where the Toucan character Rafael says "These kids are giving me gray feathers" when referring to his bird babies made me laugh out loud. From the opening scene in the rain forest my son began to dance. Everyone knows by now hes a dancing machine and this movie had lots of great music. 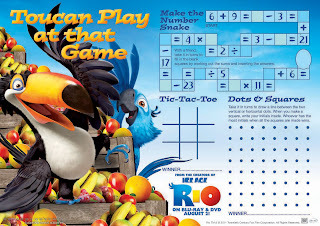 There is even a dancing game with the characters that kids can play at the Rio the Movie website. 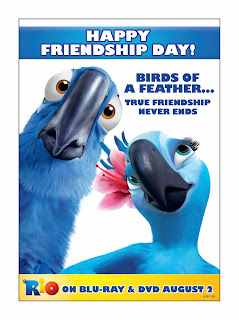 The only part of the movie I did not care for was when the mean bird Nigel sang the song about why he is so mean. I know its meant to make everyone not like him since he is the antagonist of the story but some of the words he used I thought were not good for a kids movie. I liked that Blu (the main character) over comes his fear of flying to save someone he loves. We all have fears in life that make us feel like we cannot do what we are meant to do and when we overcome them a world of possibilities opens up. I thought it was a great lesson for kids to learn. The other day my son was watching Rio and fell asleep. After I put him in his crib I left the movie on so I could finish watching it while I blogged. I knew then it must be a great movie since most of the movies he watches I will turn off if he falls asleep or goes in his room to play. He can even say "Bird" when he watches it. So cute! He loves Rio so much he can't even take his eyes off the screen to drink his juice! "As summer heats up, spread your wings and celebrate with the funniest birds in town! The all-new comedy-adventure RIO comes to Blu-ray and DVD from Twentieth Century Fox Home Entertainment. RIO brings together vivid characters and colorful backdrops amidst energizing Latin and contemporary tunes, creating the ultimate family-friendly music and dance experience for audiences of all ages. In addition to more than one hour of special bonus features and materials, consumers will have access to all-new exclusive levels of the smash video game hit Angry Birds Rio® that showcase your favorite characters from the film! Captured as a young bird from the wild, Blu (Jesse Eisenberg, The Social Network) is a domesticated Spix Macaw living thousands of miles away from his homeland, Brazil. When his human owner Linda (Leslie Mann, 17 Again) discovers that he is the last male of his kind, they head south to Rio de Janeiro to meet the only other female. But it's far from love at first sight between the socially-awkward, flight-challenged Blu and the fiercely independent, high-flying female, Jewel (Anne Hathaway, The Princess Diaries). Shortly after Blu's arrival, the two rare birds are captured by greedy animal smugglers and find themselves lost in the Brazilian rainforest. 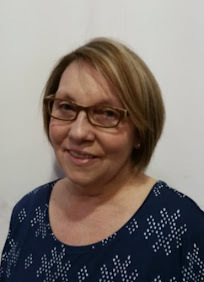 Unexpectedly thrown together, they embark on a hilarious and clumsy adventure where they learn about friendship, love, courage and spreading one's wings to fly." The Bonus DVD was full of fun activities for the whole family. We played a fact game that shared info about Rio and of course there was music and dancing. You can get the DVD and bonus material when you buy the 2 disc DVD set. There is also a Party 3 disc set available on August 2, 2011. *I was not paid or compensated for this post. The opinions in this post are 100% mine and may vary from other opinions. I was provided for free a copy of the Rio DVD for my review. Moving on to the cast it self, it was not until I looked at the cast list did I see what great performers were playing in the movie, this was down to that i was so took in with the characters it totally slipped my mind to think who there voice actor was, and i was even more surprised when i saw that Jesse Eisenberg played Blue, he was great in the Social network so I was shocked I didn't pick up on him while watching the movie.